For 10 years Cuban Adventures has provided grassroots, socially-responsible tours that have been truly people-to-people. Why? Because we believe that the best way to experience any country is to get to know its people. Our tours have always aimed to give you opportunities to interact meaningfully with locals as well as your fellow travelers. In 2014 we took the opportunity to begin providing these fully legal tour packages to U.S. customers. Travelers from all other countries are welcome to join these as well, however they are designed to fulfil all the legal requirements for U.S. citizens to travel to Cuba while giving you the most authentic, educational, and enjoyable introduction to this fascinating and complex country. Our aim is that you leave Cuba as enchanted by it as we are, and with many happy memories to share with your friends and family. It all started with the June 1999 edition of National Geographic featuring Cuba on the cover. So began my fascination with the country and my strong desire to visit. But then, there was the fear. As a U.S. citizen, Cuba was taboo. I knew people went illegally, but I was a rule follower. I researched for years about how to get to Cuba, and all the tours I found were prohibitively expensive. Finally, after years of longing, I visited Havana on a licensed tour in 2012. To say I was hooked would be putting it lightly. I returned again and again to see more of the country. Cuba drew me in like no place I'd been. I wanted other people to experience the beauty in the people and the culture, to learn about the history and to question the relationship between our countries. In 2014, I began working with Cuban Adventures, international specialists in Cuba travel, to help other people like me realize their dream of visiting Cuba, and to help Americans understand the laws about travel to Cuba. I loved how Cuban Adventures tours were truly a people-to-people cultural experience even if they didn't have the official OFAC license. 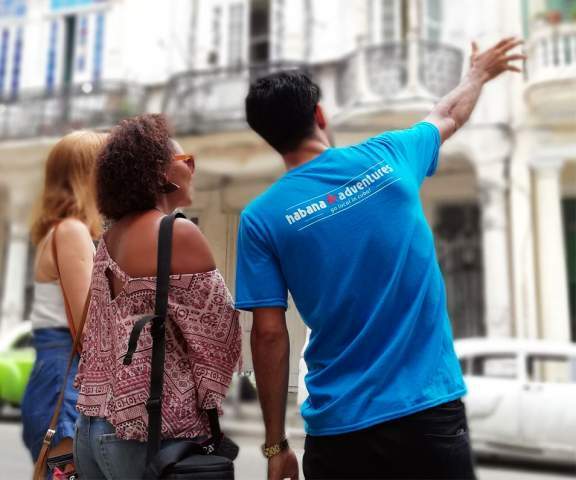 In January 2015, when the restrictions changed, I finally had the opportunity to bring Cuban Adventures tours to all U.S. citizens, legally and affordably. And so Cuban Adventures USA was born. It is my wish that everyone with a desire to visit Cuba will come with us, to experience the 'real' Cuba, and fall in love with it the same way I did. 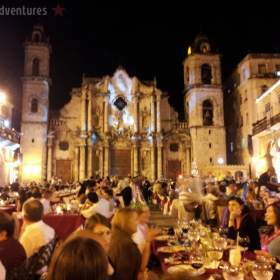 Read more about our parent company Cuban Adventures here.